The initial cost of a metal roof over an asphalt roof often exceeds other materials, such as asphalt, slate, or tile. Industry research estimates the average cost per square foot is around $3.00, compared to asphalt roofing shingles at $1.50. However, a metal roof offers improved strength and untouchable, long term durability, and lower maintenance and energy costs over the long term lifespan of a home's roof. In fact, over a metal roof’s lifespan, aphalt roof shingles can cost just as much, if not more - due to the high replacement costs of having to do it so many times. Metal roofs are manufactured for durability. Over time they require less maintenance and saves money year after year when it comes to energy costs for heating and cooling a home. In closing as a professional roofer who sells both asphalt roofs and metal roofs, the lifetime value of a roof is comprised of more than just the initial cost of shingles, labor and warranties. Other variables must also be considered when replacing a roof which can include maintenance (your time and, or cost for someone else to do for you), energy costs (heating and cooling) and overall lifespan due to aging out related issues. 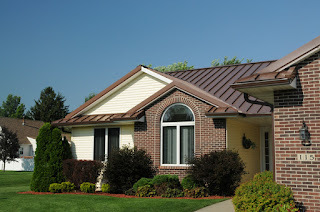 Metal roofs are more expensive on face value, but spread over several years, it provides more value and savings per year than you can imagine if you are really honest with yourself. 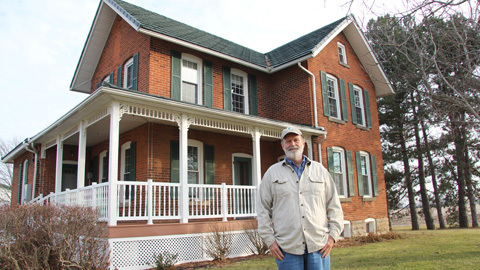 For more information call Residential Renovations at 419-691-3300 or visit our website at www.ResidentialRenovations.com to learn more! 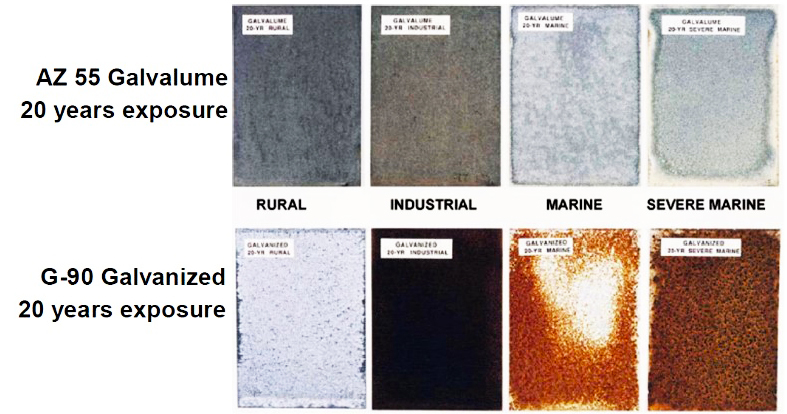 While both metal roofing products were developed to essentially sacrifice themselves to protect the steel sheeting they coat, the above exposure comparison shows that Galvalume® performs (up to nine times) better in fighting corrosion as compared to Galvanized coating. 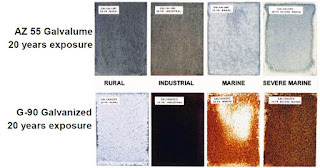 While Galvalume® can initially show signs of corrosion faster than Galvanized, it has a sacrificial property that will prevent the corrosion from growing whereas once corrosion has started on a Galvanized panel, it can continue to corrode until panel integrity is lost. 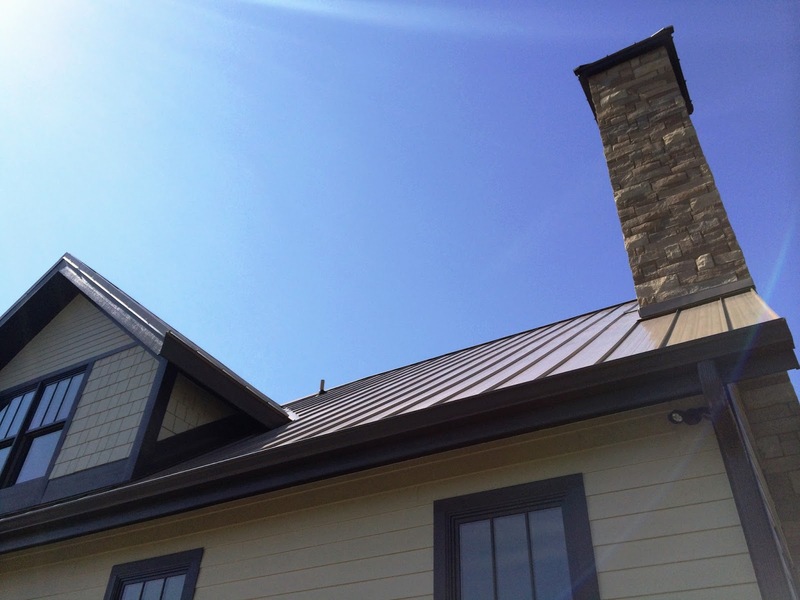 According to a study released by the Metal Construction and Zinc Aluminum Coaters associations, the longevity of a low-slope unpainted Galvalume® standing-seam roof is 60 years. 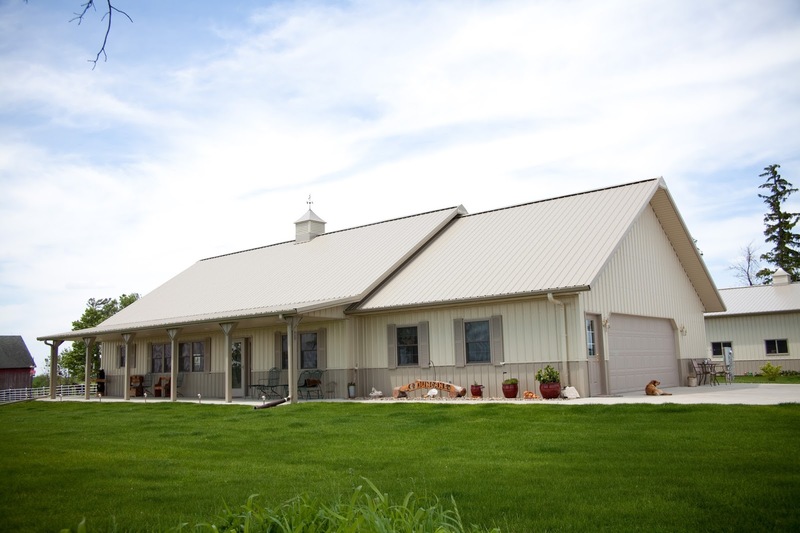 (Additionally, primer and paint adhere better to Galvalume®-coated panels and they carry a 20-year limited warranty while galvanized panels do not, making them a smarter long-term investment for homes, agricultural buildings or commercial properties. 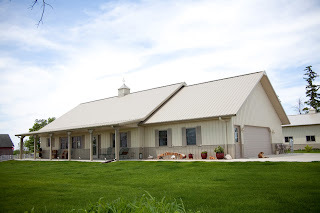 Want to Visualize Your Home With A Metal Roof? Envisioning your next project has never been easier with our color visualizer that we have teamed up with American Building Components to offer you. You can upload your own in pro-mapping or choose from our sample photos to get started. Pick your metal panel and color, and watch your home come to life in just a few minutes. 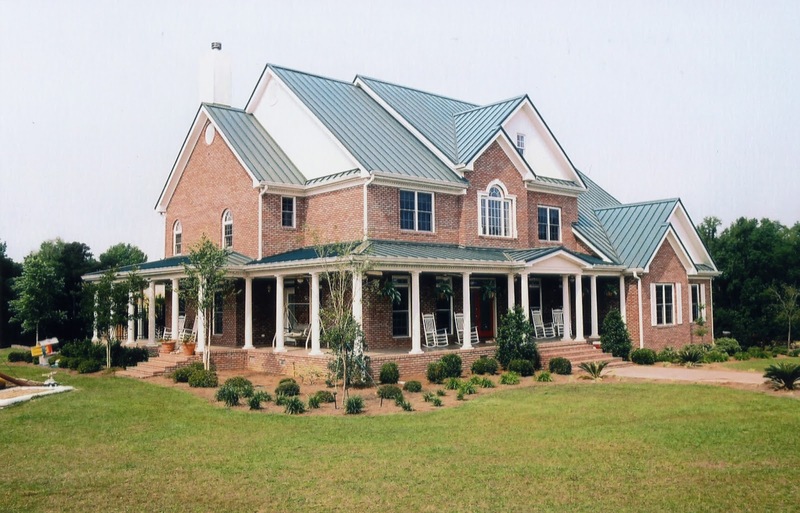 Now you too can visualize what a new metal roof will look like!